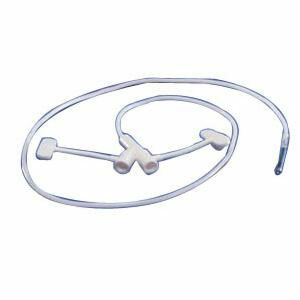 You are buying the Kendall PEDI-TUBE Pediatric Nasogastric Feeding Tube 6 FR 20" 10/bx, model #730741. ADW Diabetes offers a complete line of Enteral Feeding supplies like feeding pumps, feeding tubes, feeding bags, and the related nutritional supplements. Trust ADW for all of your enteral feeding products. The Kendall PEDI-TUBE Pediatric Nasogastric Feeding Tube 6 FR 20" is constructed of a durable polyurethane material that allows for optimal dwell time, maximum flow rates, and minimum clogging with proper tube maintenance.